Tune4mac iTunes Media Converter Bundle -- Tune4mac iTunes Video Converter Platinum and Tune4mac M4P Converter bundle, is designed for Mac users to convert purchased or rented DRM M4V video and M4P audio file to common media formats in super-high speed with original quality preserved. Easy-installed on Mac OS X Yosemite and perfectly compatible with iTunes 12. 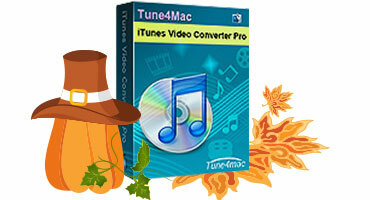 Tune4mac iTunes Video Converter Platinum is a powerful iTunes DRM M4V Video Converter tool. It enables you to remove Apple's FairPlay DRM protection from iTunes M4V videos , rentals and purchases, and convert to popular video formats at 20X fast speed with 100% original quality preserved on Mac OS X Yosemite. 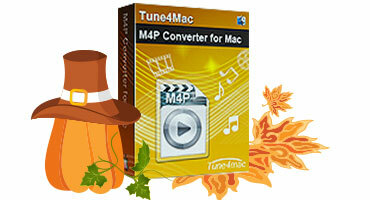 Tune4mac M4P Converter is a specially-designed iTunes M4P to MP3 Converter for Mac. Batch convert iTunes DRM protected or unprotected music files, audiobooks to unprotected MP3, AAC or WAV format, working with Virtual CD-RW technology to complete entire burning, ripping, encoding process on Mac all in one.